These are great for a little afternoon pick-me-up, or for breakfast, or any time of the day really. They keep very well in an airtight box for up to a week and can also be frozen. Preheat the oven to 180C. Grease and line an 8×8″ square cake tin with grease proof paper and margarine. Place the water and chopped dates in a medium saucepan and bring up to a simmer. Cook for about 10 minutes, uncovered, on a medium-low heat until the date mixture is very soft and thick, stirring occasionally. Remove from the heat and allow to cool to room temperature. In a large bowl, add the flour, salt, bicarbonate of soda, sugar and oats and mix well. Add the butter or margarine and, using your fingertips, rub it in until moist clumps form. Press half of the oat mixture evenly over the base of the prepared tin. Spread the cooked date mixture over this then sprinkle with the remaining oat mixture. Press gently with the palm of your hand to flatten it on top. Bake in the oven for approximately 40 minutes or until golden brown and set in the centre. Allow to cool completely in the tin then cut into 16 bars and serve. 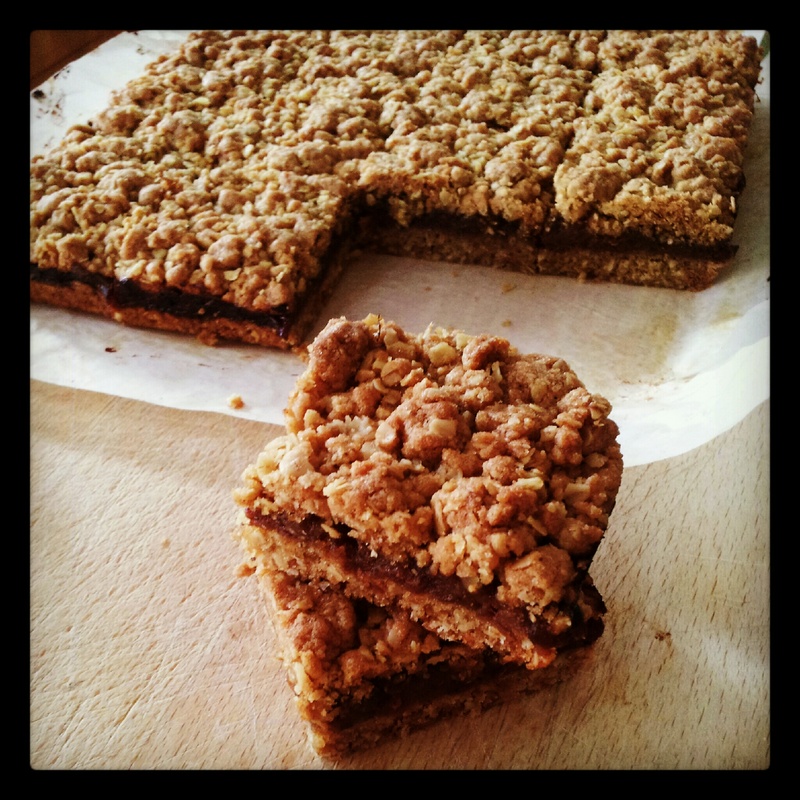 Buttery, crunchy oat layers encasing a sweet and sticky date filling, these bars are so simple to knock together but deliver amazing results. I don’t want to hear that you don’t like dates. These are awesome. Try them now!